Ryder-Lemieux added to undercard for Canelo vs Jacobs at T-Mobile Arena. John Ryder will battle David Lemieux for the WBA interim super-middleweight belt on the Saul Alvarez-Daniel Jacobs bill in Las Vegas on May 4, live on Sky Sports. The Londoner stopped Andrey Sirotkin in the seventh round to become the WBA's mandatory challenger in October, and the 30-year-old has now received a high profile clash with Canadian Lemieux on the undercard for 'Canelo' Alvarez's middleweight unification fight against Jacobs at The T-Mobile Arena. Ryder is risking his guaranteed shot at WBA 'super' champion Callum Smith, but intends to stay on course for an all-British fight with the Liverpudlian or even earn an audacious crack at either Jacobs or Alvarez. "I'm fully focused on the fight with David Lemieux but obviously there's a massive pot of gold for the winner," said Ryder. I'm expecting to win and to win well. I'm there to keep my mandatory position. "There's the potential for a fight with Canelo or a fight with Callum Smith, which are both huge. Lemieux is a big puncher if you stand in front of him. "I'm a boxer-fighter. I'll box him at times and fight him at other times when it suits me. Our fighting styles are sure to gel for a great fight. I'm expecting to win and to win well. I'm there to keep my mandatory position." Lemieux stopped Gary 'Spike' O'Sullivan inside a round at the same venue in September, and will be making his debut at 168lbs. Matchroom Boxing boss Eddie Hearn said: "This is a great fight on an great night of boxing. "John Ryder has been on a tremendous run and now takes to the big stage in Las Vegas with the dangerous David Lemieux. It's a huge fight for both with the winner being mandatory challenger for Callum Smith and I fully expect that to be John Ryder." 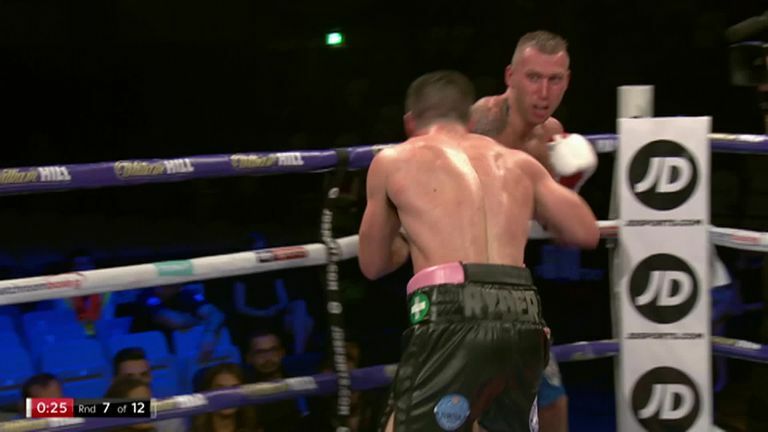 Watch John Ryder versus David Lemieux on the Saul 'Canelo' Alvarez-Daniel Jacobs undercard at The T-Mobile Arena in Las Vegas on May 4, live on Sky Sports.